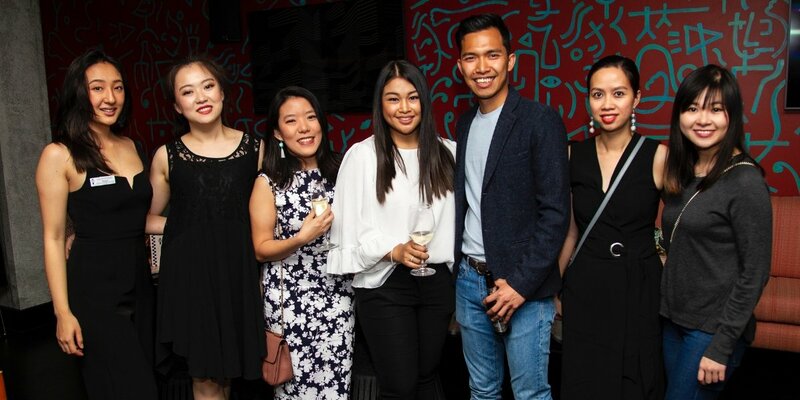 Our recent Le Cordon Bleu event in Perth ‘The Sky is the Limit’ delighted alumni and students, celebrating their achievements and providing an opportunity to network with peers in style at QT Hotel Perth. 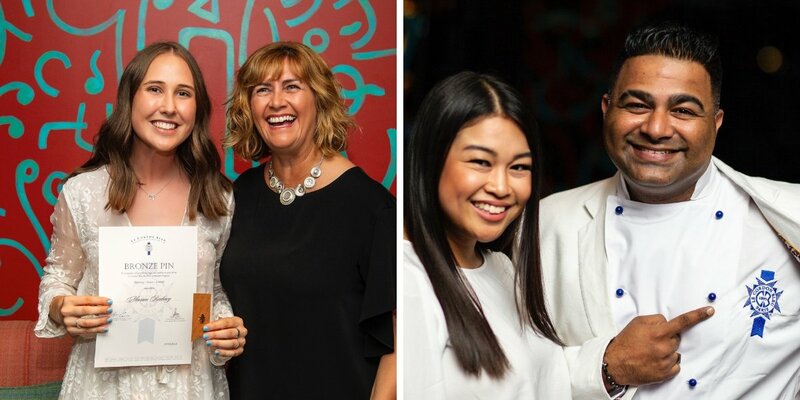 Attended by education agents, Le Cordon Bleu staff, students and alumni, guests enjoyed canapes and cocktails while socialising on the hotel’s rooftop. Dr Janine Ashwell (Head of Discipline – Industry Engagement), Ana Clarke (Industry Engagement Officer) and Paulina Ramintas (Alumni Relations Officer) each spoke to the group about opportunities available through Le Cordon Bleu’s lifelong global alumni membership, Industry Engagement and Work Integrated Learning (WIL). 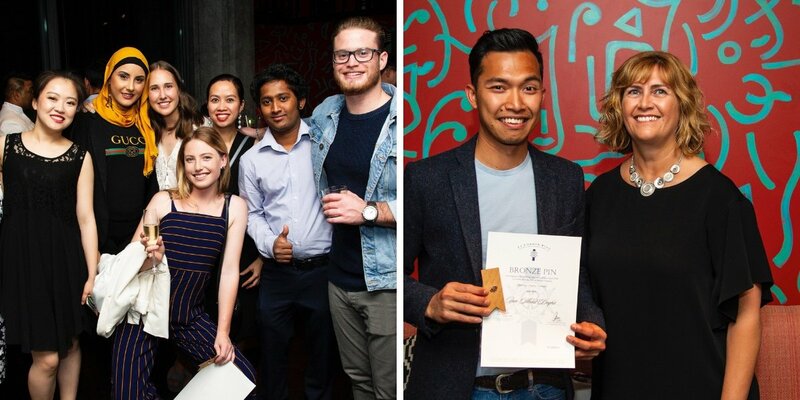 A pin ceremony was held for those students successfully completing Year 1 of their studies, where they received a bronze pin and a certificate. Pins celebrate academic and technical accomplishment at three key stages. Ultimately, wearing three pins signifies mastery in a field of endeavor. Each pin commemorates an individual stage in the student journey on a quest to mastery. The first pin, a bronze, signifies that students are at the genesis stage of their journey, having taken the first steps toward creating their perfect career. Congratulations to all students and alumni as they journey toward their dreams.